Another superb sequel in the long-standing chain of Fluffy Favourites online slots. 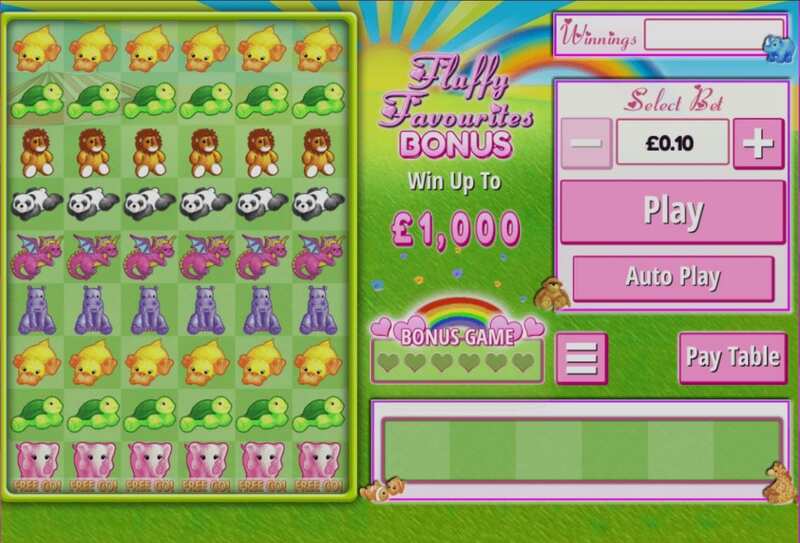 This one brings back all your favourite cuddly toys from the previous games. But, on a 9x6 grid where finding groups of 5 or more identical animals will form a win. This is brought to you by the brilliant developers at Eyecon, world-renowned slots developers. They have been consistent in delivering memorable and enjoyable casino games for all our players. With a minimum wager of just 10p, it doesn’t matter if you’re a high or low roller to enjoy this brilliant game. As previously mentioned this game involves finding five or more matching animals on a 9x6 grid. Once these are all matched together they are then removed from the grid, followed by it repopulating to fill the grid again. Meaning you can match more characters yet again. This will continue until the player has no more matches within the grid. 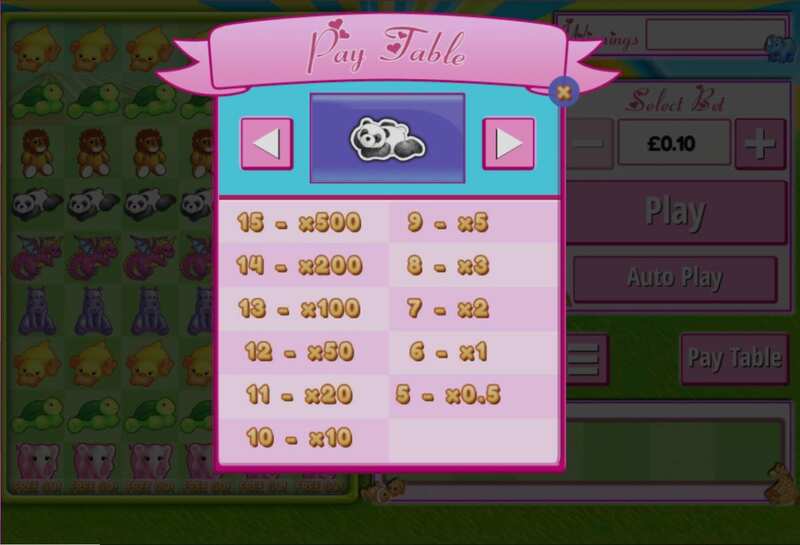 The more cutesy characters you can match up in any one group will generate larger payouts than usual. In addition to having more valuable characters. So, 15 purple hippos are x10000 your bet and the same amount of yellow ducks is x50 your bet. 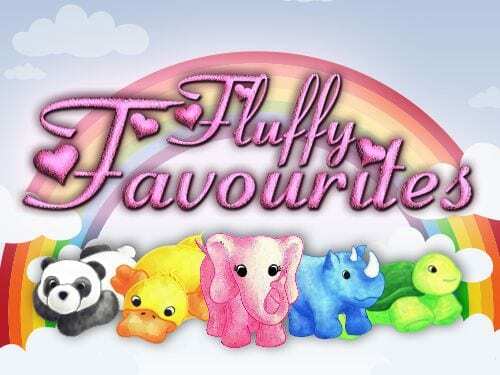 Having the name Fluffy Favourites Bonus, we’re sure you’re expecting some great bonus features in this game. Well, you’re right! Find three or more free games symbols on the grid together to collect 2, 4 or 6 free rolls.